Not so long ago, graphene was the great new wonder material. A super-strong, atom-thick sheet of carbon “chicken wire,” it can form tubes, balls, and other curious shapes. And because it conducts electricity, materials scientists raised the prospect of a new era of graphene-based computer processing and a lucrative graphene chip industry to boot. The European Union invested €1 billion to kick-start a graphene industry. The reason for the excitement is the extraordinary range of applications that borophene looks good for. Electrochemists think borophene could become the anode material in a new generation of more powerful lithium-ion batteries. Chemists are entranced by its catalytic capabilities. And physicists are testing its abilities as a sensor to detect numerous kinds of atoms and molecules. Then there is borophene’s ability to catalyze the breakdown of molecular hydrogen into hydrogen ions, and water into hydrogen and oxygen ions. “Outstanding catalytic performances of borophene have been found in hydrogen evolution reaction, oxygen reduction reaction, oxygen evolution reaction, and CO2 electroreduction reaction,” say the team. That could usher in a new era of water-based energy cycles. Nevertheless, chemists have some work to do before borophene can be more widely used. For a start, they have yet to find a way to make borophene in large quantities. And the material’s reactivity means it is vulnerable to oxidation, so it needs to be carefully protected. Both factors make borophene expensive to make and hard to handle. So there is work ahead. Read More: How Can Graphene Be Used in Desalination? Electronically active 2-D materials have been the subject of much research since the introduction of graphene in 2004. Even though they are often touted for their strength, they’re difficult to move to where they’re needed without destroying them. The Rice team tested the concept by making a 10-nanometer-thick indium selenide photodetector with gold electrodes and placing it onto an optical fiber. Because it was so close, the near-field sensor effectively coupled with an evanescent field—the oscillating electromagnetic wave that rides the surface of the fiber—and accurately detected the flow of information inside. The ideal solution was poly-dimethyl-glutarimide (PMGI), which can be used as a device fabrication platform and easily etched away before transfer to the target. “We’ve spent quite some time to develop this sacrificial layer,” Lou said. PMGI appears to work for any 2-D material, as the researchers experimented successfully with molybdenum diselenide and other materials as well. 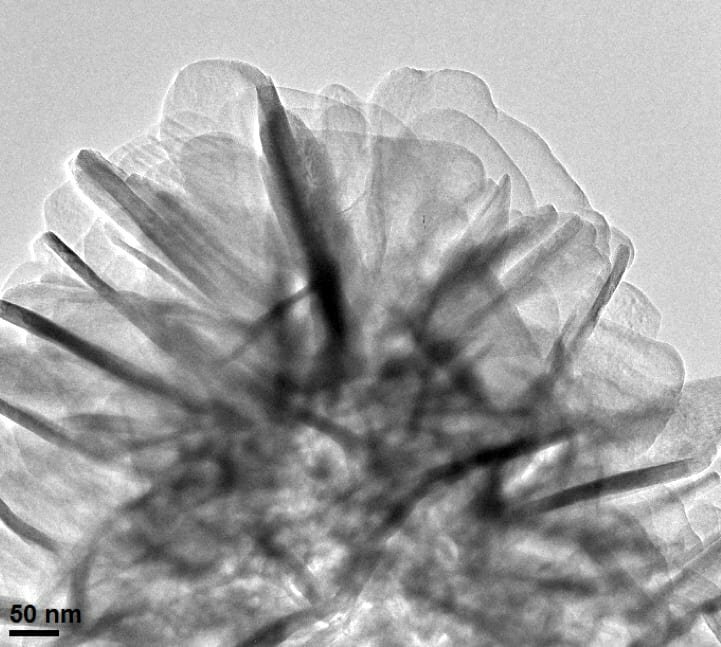 The tangled-nanotube film effectively quenched dendrites over 580 charge/discharge cycles of a test battery with a sulfurized-carbon cathode the lab developed in previous experiments. The researchers reported the full lithium metal cells retained 99.8 percent of their coulombic efficiency, the measure of how well electrons move within an electrochemical system. Co-authors of the paper are Rice alumni Almaz Jalilov of the King Fahd University of Petroleum and Minerals, Saudi Arabia; Jongwon Yoon, a senior researcher at the Korea Basic Science Institute; and Gang Wu, an instructor, and Ah-Lim Tsai, a professor of hematology, both at the McGovern Medical School at the University of Texas Health Science Center at Houston. Tour is the T.T. and W.F. Chao Chair in Chemistry as well as a professor of computer science and of materials science and nanoengineering at Rice. Rice University chemist James Tour, left, graduate student Gladys López-Silva and postdoctoral researcher Rodrigo Salvatierra use a film of carbon nanotubes to prevent dendrite growth in lithium metal batteries, which charge faster and hold more power than current lithium-ion batteries. Photo by Jeff Fitlow. The good news is that reactive oxygen species (ROS) – in this case, hydroxyl radicals – are bad news for BPA. Inexpensive titanium dioxide releases ROS when triggered by ultraviolet light. But because oxi-dating molecules fade quickly, BPA has to be close enough to attack. That’s where the trap comes in. “This new material helps overcome two significant technological barriers for photocatalytic water treatment,” Alvarez said. “First, it enhances treatment efficiency by minimizing scavenging of ROS by non-target constituents in water. Here, the ROS are mainly used to destroy BPA. The term bioelectronics, or bionics for short, describes a research field that is concerned with the integration of biological components with electronics; specifically, the application of biological materials and processes in electronics, and the use of electronic devices in living systems. One day, bionics research could result in neural prostheses that augment or restore damaged or lost functions of the nervous system – restore vision, healing spinal cord injuries, and ameliorate neurodegenerative diseases such as Parkinson’s. Engineer Qilin Li at Rice University’s lab is building a treatment system that can be tuned to selectively pull toxins from wastewater from factories, sewage systems and oil and gas wells, as well as drinking water. The researchers said their technology will cut costs and save energy compared to conventional systems. The heart of Rice’s system is a set of novel composite electrodes that enable capacitive deionization. The charged, porous electrodes selectively pull target ions from fluids passing through the maze-like system. When the pores get filled with toxins, the electrodes can be cleaned, restored to their original capacity and reused. 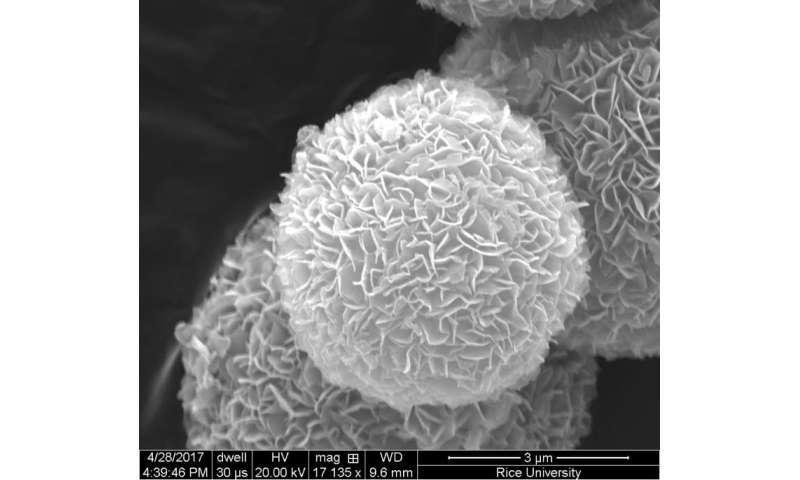 The research was supported by the Rice-based National Science Foundation-backed Center for Nanotechnology-Enabled Water Treatment, the Welch Foundation and the Shanghai Municipal International Cooperation Foundation. Nidec Motor Corporation (NMC) named Henk van Duijnhoven as its CEO and global business leader of ACIM (Appliances, Commercial and Industrial Motors). Van Duijnhoven was most recently a partner and managing director of The Boston Consulting Group where he was responsible for business turnaround, mergers and acquisitions, and strategy planning for clients in the industrial and medtech markets. He holds a Bachelor of Science degree from the College of Automotive Engineering and a Master of Business Administration from the Massachusetts Institute of Technology. Woodard & Curran named Peter Nangeroni as its new industrial and commercial strategic business unit leader. He brings experience managing large, multidisciplinary projects for industrial clients with emphasis on generating positive environmental outcomes, return on investment and improved risk management. He has been with Woodard & Curran for 13 years in various roles, most recently as director of technical practices. He takes over for the long-time leader of the business unit, Mike Curato, who is retiring after 11 years in the role and 20 with the firm. Nangeroni is a Professional Engineer with a degree in civil engineering from Tufts University and more than 35 years of experience working with clients on engineering and construction management projects. In his new role, he will oversee staffing, business development and project execution at a strategic level for the industrial and commercial strategic business unit, which focuses on water treatment, manufacturing and process utilities for clients in a wide range of industrial sectors. Is This the Battery Boost We’ve Been Waiting For? The batteries that power our modern world—from phones to dronesto electric cars—will soon experience something not heard of in years: Their capacity to store electricity will jump by double-digit percentages, according to researchers, developers and manufacturers. 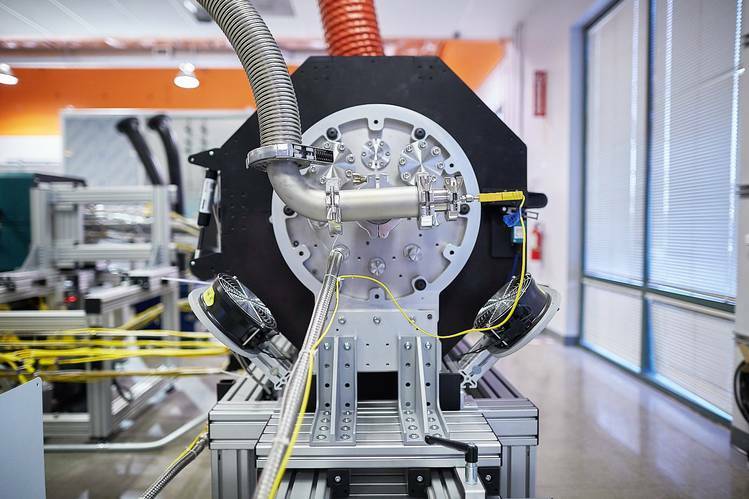 The next wave of batteries, long in the pipeline, is ready for commercialization. This will mean, among other things, phones with 10% to 30% more battery life, or phones with the same battery life but faster and lighter or with brighter screens. We’ll see more cellular-connected wearables. As this technology becomes widespread, makers of electric vehicles and home storage batteries will be able to knock thousands of dollars off their prices over the next five to 10 years. Makers of electric aircraft will be able to explore new designs. There is a limit to how far lithium-ion batteries can take us; surprisingly, it’s about twice their current capacity. The small, single-digit percentage improvements we see year after year typically are because of improvements in how they are made, such as small tweaks to their chemistry or new techniques for filling battery cells with lithium-rich electrolyte. What’s coming is a more fundamental change to the materials that make up a battery. First, some science: Every lithium-ion battery has an anode and a cathode. Lithium ions traveling between them yield the electrical current that powers our devices. When a battery is fully charged, the anode has sucked up lithium ions like a sponge. And as it discharges, those ions travel through the electrolyte, to the cathode. Typically, anodes in lithium-ion batteries are made of graphite, which is carbon in a crystalline form. 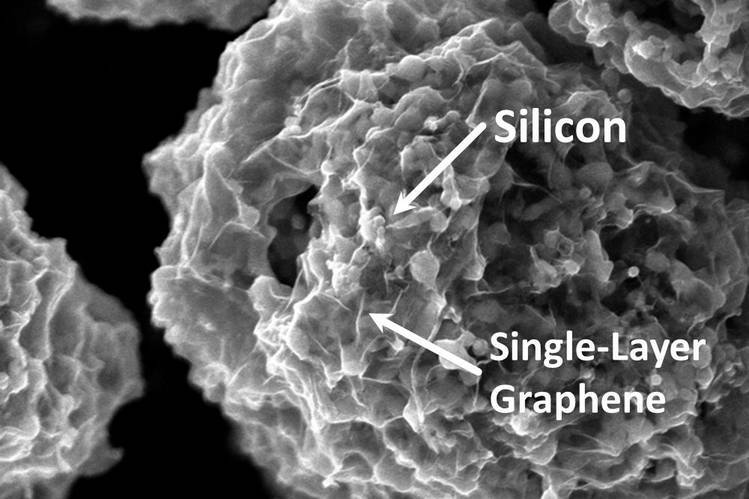 While graphite anodes hold a substantial number of lithium ions, researchers have long known a different material, silicon, can hold 25 times as many. The trick is, silicon brings with it countless technical challenges. 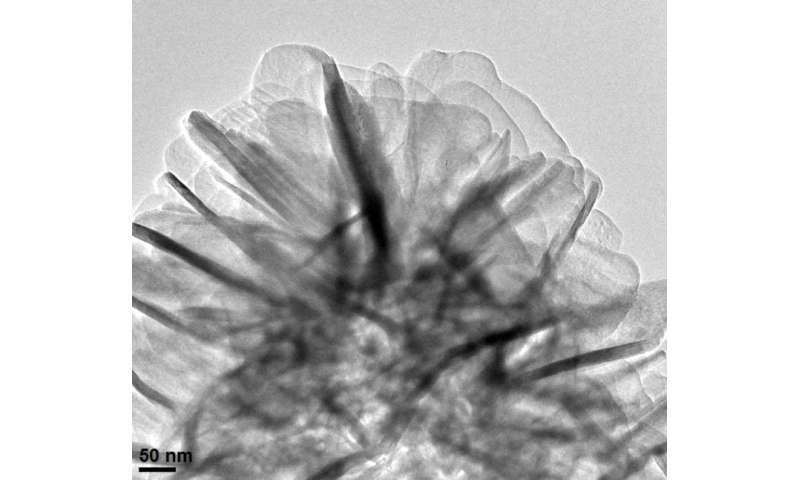 For instance, a pure silicon anode will soak up so many lithium ions that it gets “pulverized” after a single charge, says George Crabtree, director of the Joint Center for Energy Storage Research, established by the U.S. Department of Energy at the University of Chicago Argonne lab to accelerate battery research. Current battery anodes can have small amounts of silicon, boosting their performance slightly. The amount of silicon in a company’s battery is a closely held trade secret, but Dr. Crabtree estimates that in any battery, silicon is at most 10% of the anode. In 2015, Tesla founder Elon Musk revealed that silicon in the Panasonic-made batteries of the auto maker’s Model S helped boost the car’s range by 6%. Now, some startups say they are developing production-ready batteries with anodes that are mostly silicon. 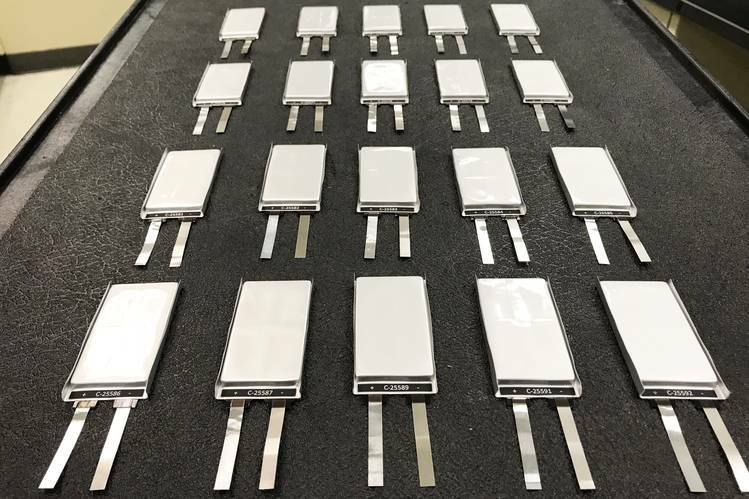 Sila Nanotechnologies,Angstron Materials , Enovix and Enevate, to name a few, offer materials for so-called lithium-silicon batteries, which are being tested by the world’s largest battery manufacturers, car companies and consumer-electronics companies. For Sila, in Alameda, Calif., the secret is nanoparticles lots of empty space inside. This way, the lithium can be absorbed into the particle without making the anode swell and shatter, says Sila Chief Executive Gene Berdichevsky. Cells made with Sila’s particles could store 20% to 40% more energy, he adds. Angstron Materials, in Dayton, Ohio, makes similar claims about its nanoparticles for lithium-ion batteries. Dr. Crabtree says this approach is entirely plausible, though there’s a trade-off: By allowing more room inside the anode for lithium ions, manufacturers must produce a larger anode. This anode takes up more space in the battery, allowing less overall space to increase capacity. This is why the upper bound of increased energy density using this approach is about 40%. The big challenge, as ever, is getting to market, says Dr. Crabtree. Sila’s clients include BMW and Amperex Technology , one of the world’s largest makers of batteries for consumer electronics, including both Apple ’s iPhone and Samsung ’s Galaxy S8 phone. China-based Amperex is also an investor in Sila, but Amperex Chief Operating Officer Joe Kit Chu Lam says his company is securing several suppliers of the nanoparticles necessary to produce lithium-silicon batteries. Having multiple suppliers is essential for securing enough volume, he says. The first commercial consumer devices to have higher-capacity lithium-silicon batteries will likely be announced in the next two years, says Mr. Lam, who expects a wearable to be first. Other companies claim a similar timetable for consumer rollout. Enevate produces complete silicon-dominant anodes for car manufacturers. CEO Robert Rango says its technology increases the range of electric vehicles by 30% compared with conventional lithium-ion batteries. BMW plans to incorporate Sila’s silicon anode technology in a plug-in electric vehicle by 2023, says a company spokesman. BMW expects an increase of 10% to 15% in battery-pack capacity in a single leap. While this is the same technology destined for mobile electronics, the higher volumes and higher safety demands of the auto industry mean slower implementation there. In 2017, BMW said it would invest €200 million ($246 million) in its own battery-research center. Enovix, whose investors include Intel and Qualcomm, has pioneered a different kind of 3-D structure for its batteries, says CEO Harrold Rust. With much higher energy density and anodes that are almost pure silicon, the company claims its batteries would contain 30% to 50% more energy in the size needed for a mobile phone, and two to three times as much in the size required for a smartwatch. The downside: producing these will require a significant departure from the current manufacturing process. 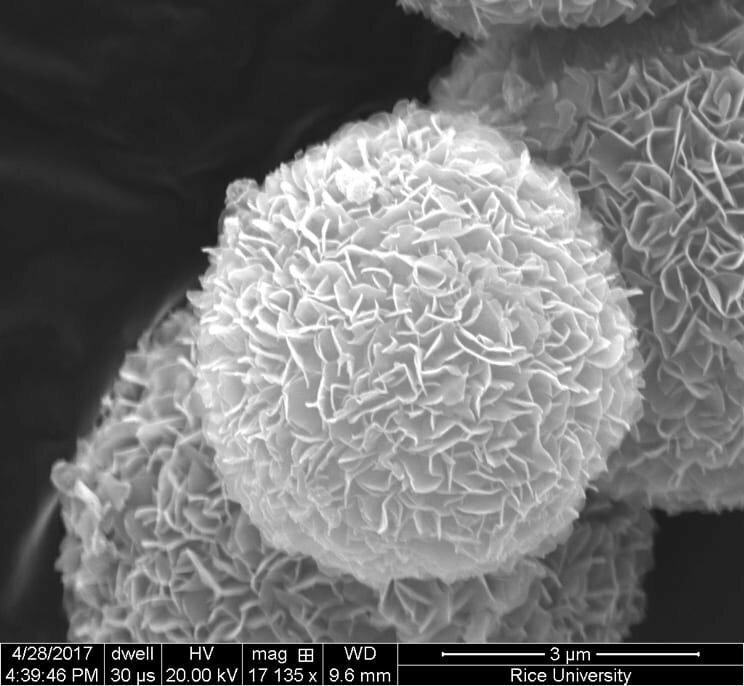 Even though it’s a significant advance, to get beyond what’s possible with lithium-silicon batteries will require a change in battery composition—such as lithium-sulfur chemistry or solid-state batteries. Efforts to make these technologies viable are at a much earlier stage, however, and it isn’t clear when they’ll arrive. Meanwhile, we can look forward to the possibility of a thinner or more capable Apple Watch, wireless headphones we don’t have to charge as often and electric vehicles that are actually affordable. The capacity of lithium-ion batteries has increased threefold since their introduction in 1991, and at every level of improvement, new and unexpected applications, devices and business opportunities pop up.